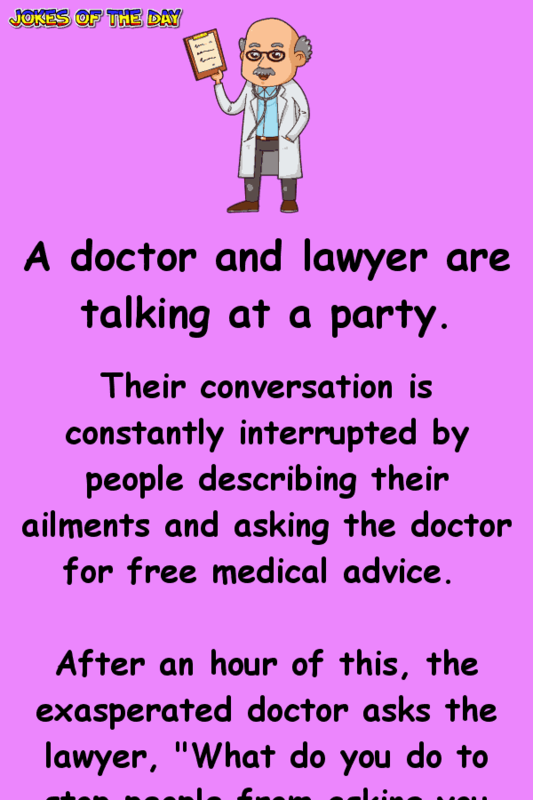 Their conversation is constantly interrupted by people describing their ailments and asking the doctor for free medical advice. The doctor is shocked, but agrees to give it a try. The next day, still feeling slightly guilty, the doctor prepares the bills. When he goes to place them in his mailbox, he finds a bill from the lawyer.